We are investing constantly to improve our production and storage capacities, which are today among the most important in the European organic market. 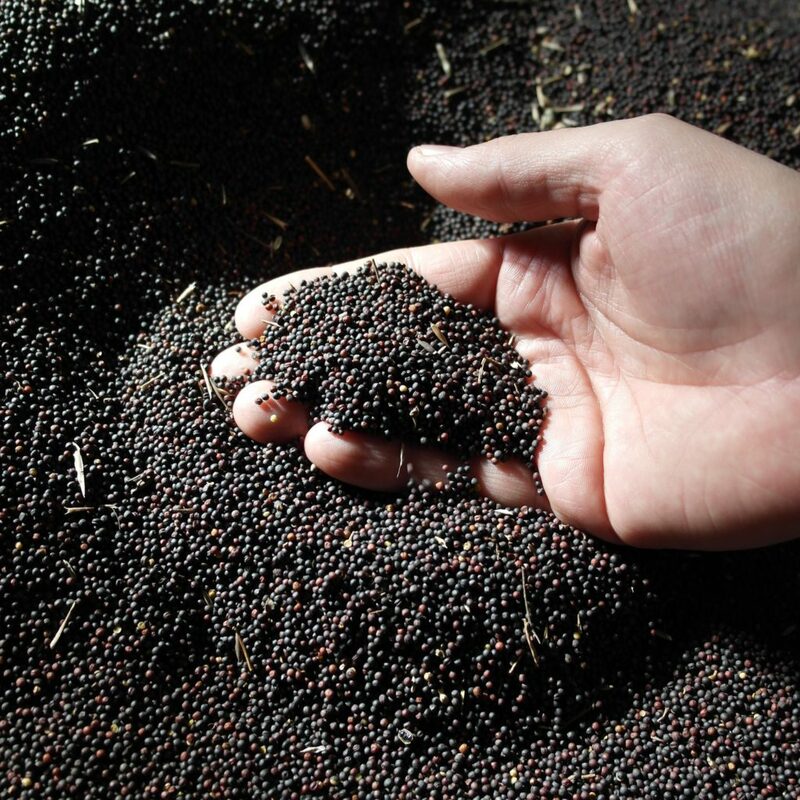 Our oil mills are exclusively dedicated to the production of oils from organic seeds. Our organic seeds come from producing partners. 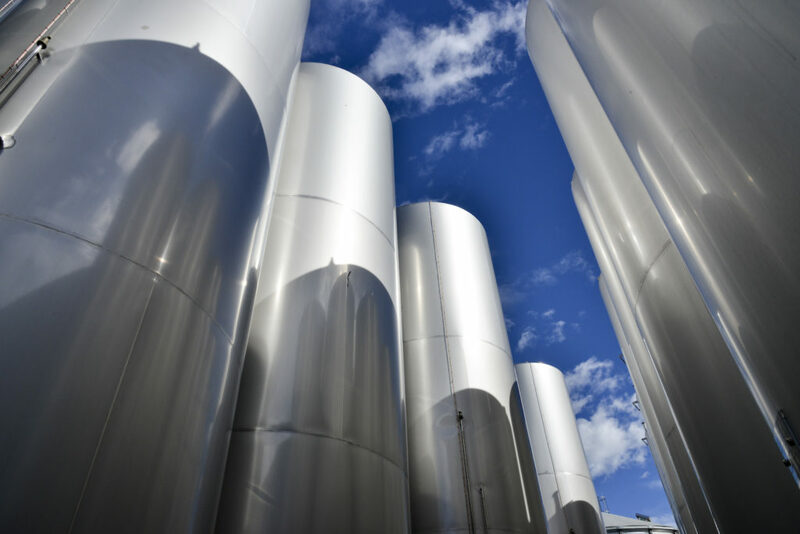 On arrival, we clean them a first time for the sake of quality and we store them in silos. Then, we analyze them according to our internal control plan in order to check their conformity and to make sure that they comply with organic farming and food standards. Our seeds are cleaned a second time, then flattened and crushed by our presses. This is called ‘crushing’. Following this operation, we obtain our cold-pressed organic oils as well as organic animal cattle cake. (This is the solid co-product from crushing). This is the last production step. 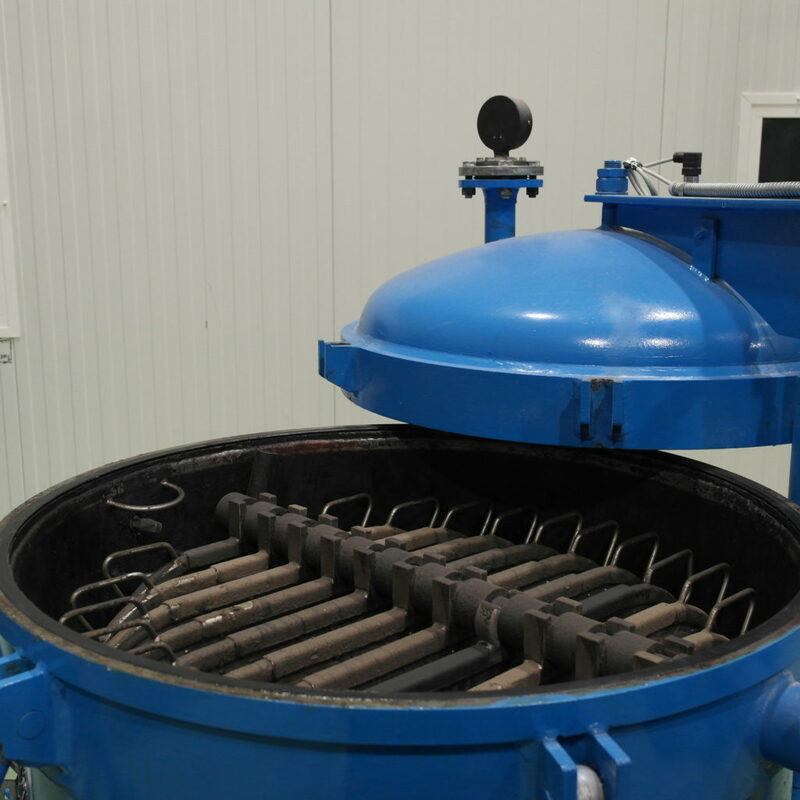 The oils are first filtered roughly at the oil mill to remove the most important solid particles in the oil. They will then be filtered more minutely before being packed. Our oil tanks are all made of stainless steel, ideal material for optimal conservation of the oils. 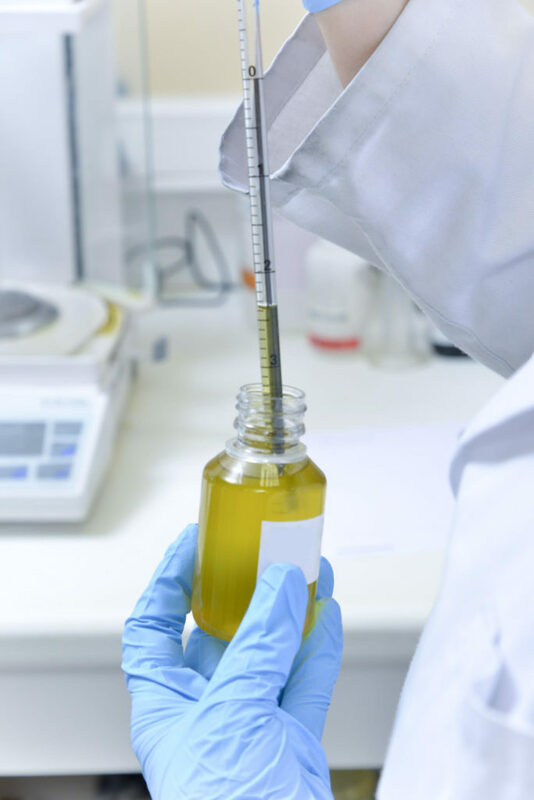 We also check the temperature of our tanks regularly, in order to avoid premature degradation of our oil quality. 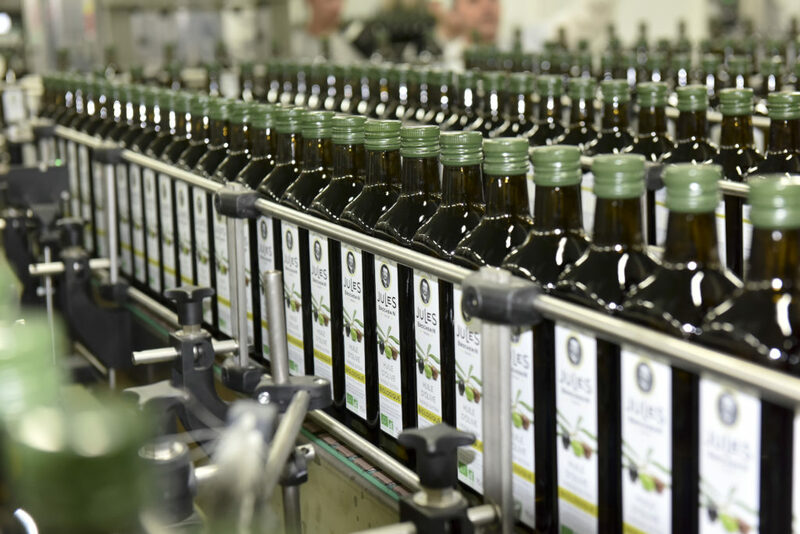 Before being bottled, all our oils are filtered at 5 microns using filter papers. 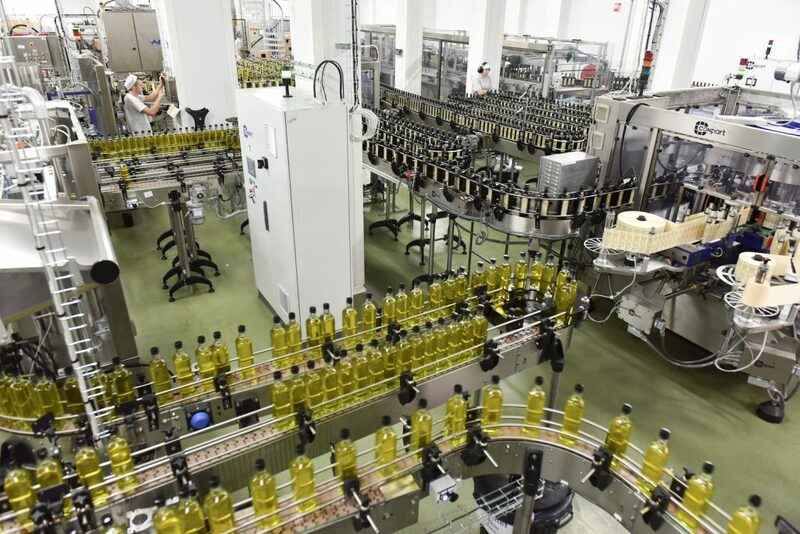 This highly technical operation ensures more product purity and provides brilliance to our oils. It is the know-how of our company. Based on a precise knowledge of oils, this step allows us to offer oils adapted to the demands of each customer’s organoleptic expectations. 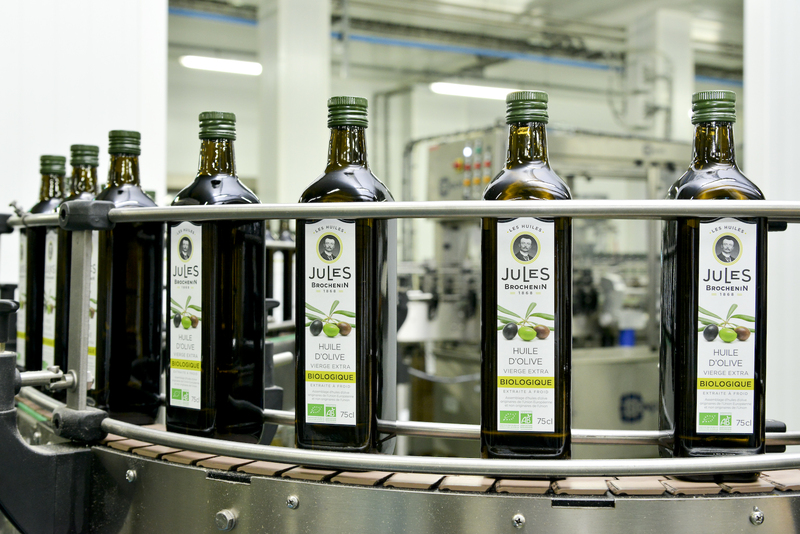 The bottling is carried out according to the following steps: blowing empty bottles – filling – capping – labelling – boxing – palletizing. Our 5 modern bottling lines allow these operations to perform in an efficient way by respecting scrupulously the hygiene standards. We can manufacture in glass bottles (clear or dark), square or cylindrical from 25cl, 50cl, 75cl to 1L, but also plastic packagings (1L, 2L, 3L, 5L, 10L and 20L). 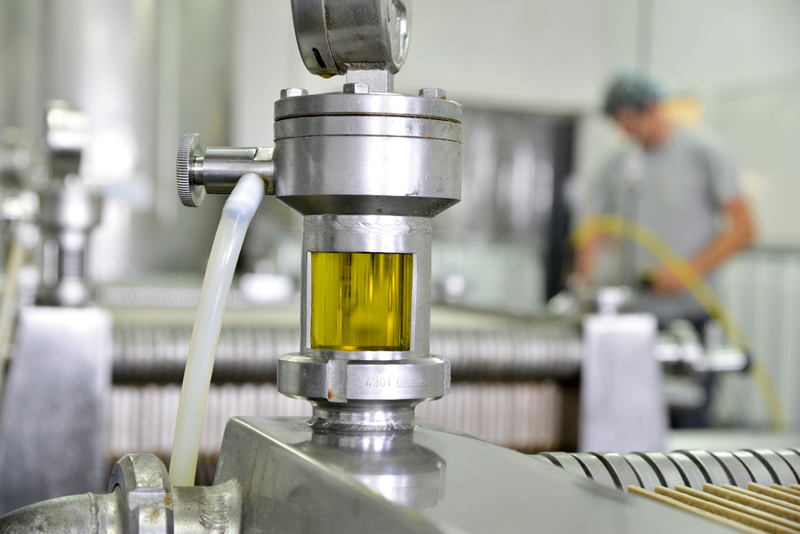 We have developed a system that cleans effectively the oil pipes supplying our bottling lines. Internal procedures frame these operations during each oil change. The routing of oils is therefore perfectly secure and controlled. We use stainless steel pipes or flexible hoses guaranteed without BPA and phthalates. 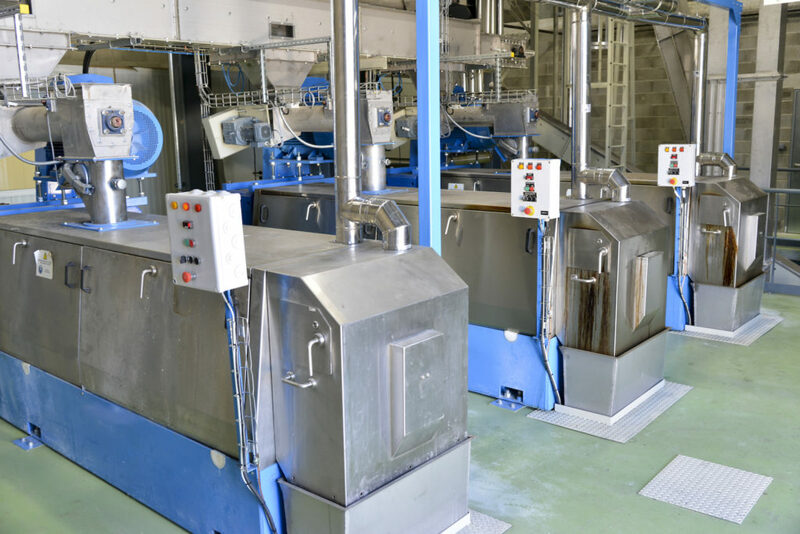 In addition, all our bottling lines are equipped with stainless steel filters allowing additional control of foreign body risk in our products.